Why Should You Care That We're Locally Owned And Operated—And Have Been In The Cape For Over A Decade? Because It's The Number One Indicator Of Which Eastern Massachusetts Painting Company Will Actually Work Out... And Which Ones Will Almost Certainly Aggravate You, Cost A Fortune, And Leave Your Property Looking WORSE. Did you know that according to the U.S. Department of Labor, Bureau of Labor Statistics the average lifespan of a painting company is only about 3 to 5 years? So who EXACTLY is going to be around to honor that painting warranty, if you even got one? The reality is that many painting companies in Eastern Mass. don't offer a warranty. Or if they do, it's just a verbal promise and very rarely is it in writing… and it's for a very short period of time. We like to call these "tail light" warranties because they're only as good as till the time you see the painting contractor’s tail lights as he leaves your property with your money. It's also unfortunate how easy it is for less than reputable painting contractors to simply shut down their company and reopen under a different name elsewhere in Cape Cod. That's the reason why a painting company's longevity is a key indicator as the quality of work that they perform and whether or not they'll be around to honor any warranty (or promise) that they make. 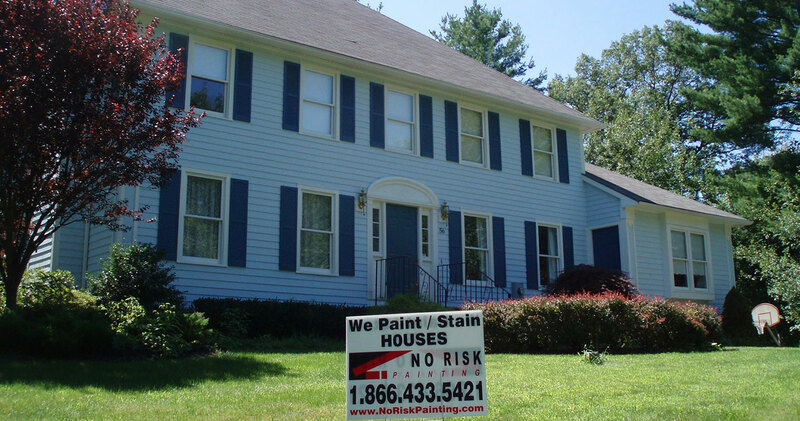 At No Risk Painting, we’ve been providing stellar residential, commercial, and condominium paint projects in Eastern Mass. for over 10 years. We've got the track record to prove we're one of the absolute best painting companies. It also means you can trust us when we tell you that we have the longest, most comprehensive warranty in New England, and that we will be around long enough to honor that warranty. Bottom Line: We're proud of the fact that we've been around for over a decade. But we're even more proud of the fact that we were born and raised in New England and that we are a very part of the community that we serve.